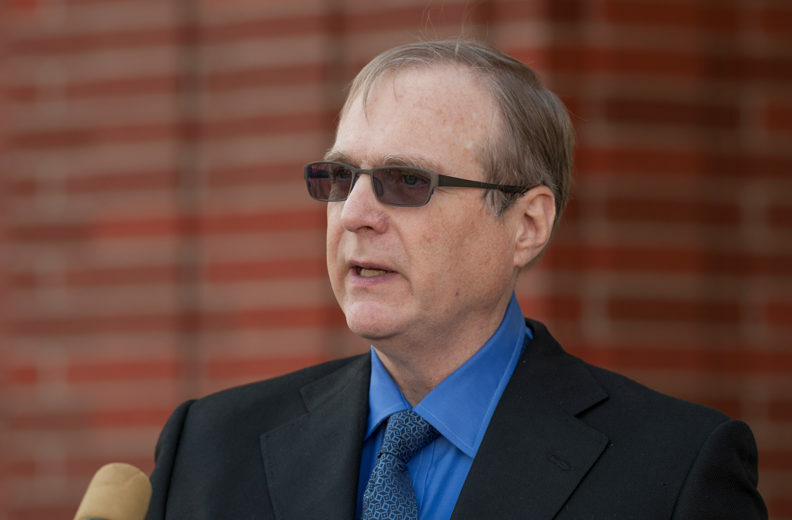 PULLMAN, Wash. — Those who knew Paul G. Allen at Washington State University were taken with both shock and sadness when they learned of his death today. Allen, 65, was a noted technologist, philanthropist, community builder, conservationist, musician and supporter of the arts who attended WSU from 1971‑74. He died on Monday in Seattle, from complications of non‑Hodgkin’s lymphoma. In 2010, the Paul G. Allen Family Foundation donated $26 million help create the Paul G. Allen School for Global Animal Health. The Allen School is unique among other global health programs because it focuses on the health of animals as a way to improve the health of people and the environment. Guy Palmer, Regents Professor of Pathology and Infectious Diseases and senior director of Global Health worked closely with Allen and his Foundation to bring his vision to WSU. “Paul provided the catalytic gift to establish the Paul G. Allen School for Global Animal Health at Washington State University,” said Palmer. “Paul’s creative ability and scientific curiosity were well known. During my conversations with Paul, what was most striking was his compassion for people, especially those in vulnerable communities in Africa, and his desire to link science with the mission of improving lives. He was a keen listener and used his curiosity to drive change that will impact human lives far into the future. Phil Weiler, vice president for marketing and communications, 509‑335‑1221 or phil.weiler@wsu.edu. Charlie Powell, senior communications manager, 509‑335‑7073 or charlie_powell@wsu.edu.